Spinach balls ready to pop in the oven. 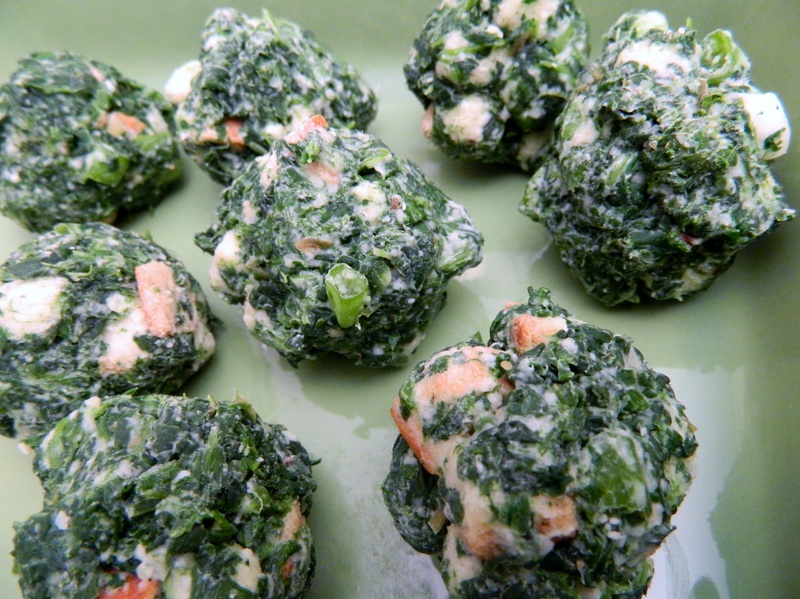 For the past several years (maybe two decades), I haven’t included mom’s spinach balls on my menu. 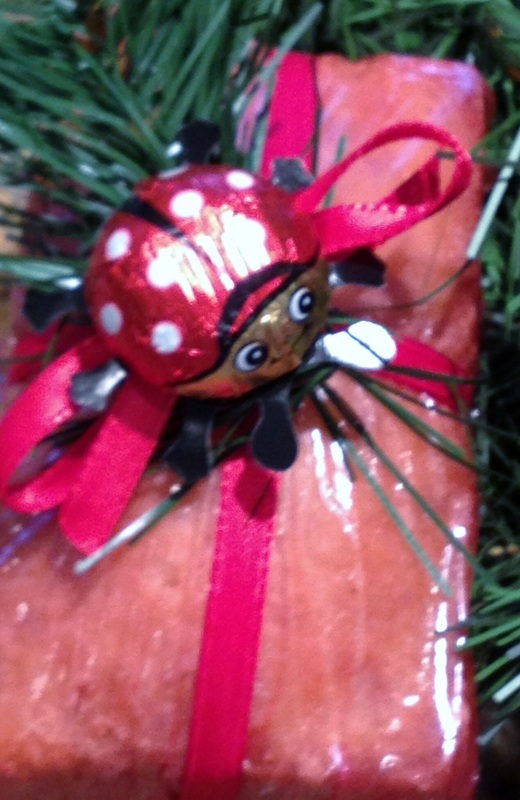 But each time Margaret reminds me they are a mainstay at her holiday dinners, I get a pang of sentimental guilt. I love that she always makes them and how she calls them, but I almost feel I should be in solidarity and make mom’s spinach balls too. 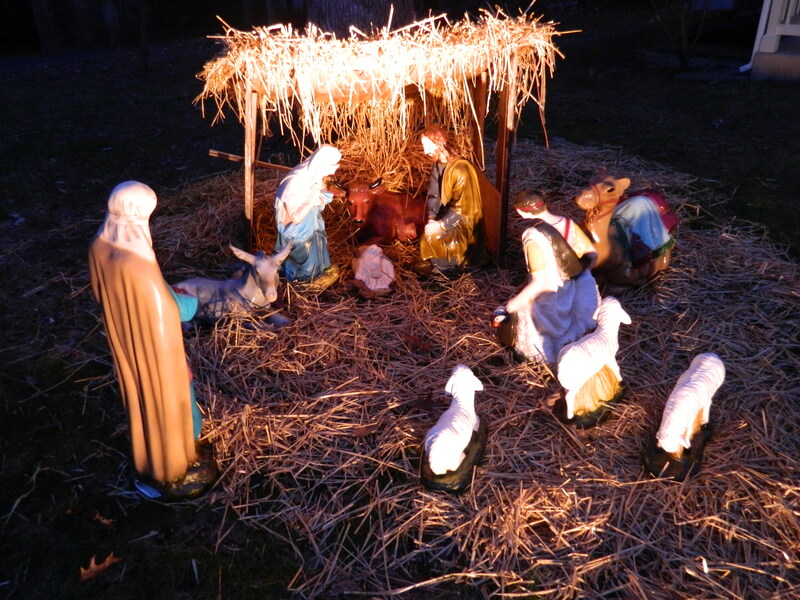 So, Christmas 2013…enough Margaret! I finally made the spinach balls! I forgot how delicious and pretty they are (especially when you add some red pomegranates to the serving platter). Make them for New Year’s. They’re easy and good. Mix all ingredients together in a large bowl. Using hands, roll mixture into small balls, Freeze on cookie sheet for one hour. Place in plastic bags and store in freezer or refrigerator until ready to bake. Bake in 375⁰ oven on a cookie sheet for 20 minutes. Serve warm. Read Margaret Barker’s article “Green Chicken — Creating a Family Heirloom Cookbook” from the Winter 2013 issue of Celebrate Home Magazine. Set a festive table for New Year’s Eve by using what you have on hand. Look indoors and out for potential bling for your festive table. I have a gold tablecloth so decided on a red and gold color palette. I then found a tall candlestick in bronzy-brown and a brown table runner, so I decided to go with an earthy theme. Once I had these items in hand, my search was narrowed down. Now, off to the outdoors where I cut some huge Magnolia tree leaves and Holly tree branches. I went indoors to the basement where I keep my floral picks and trims and found red, gold and sparkly things and fruit. I decided the setting needed more candle light, so I added various unmatched votive candle holders. (Always use unscented candles on the dinner table.) 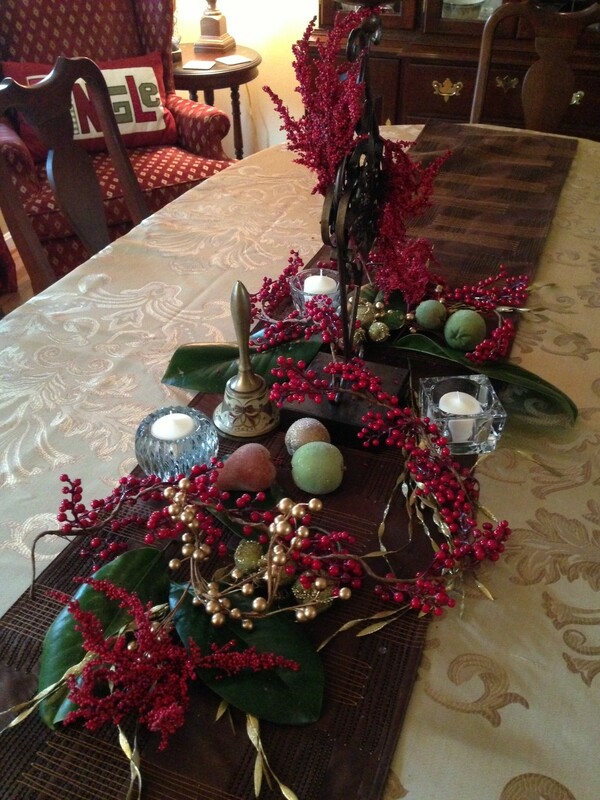 I whimsically placed it all together and a tablescape was born! Whether it’s a buffet table, a formal table, or an open table for people to sit once they get their food, create a centerpiece from what you have on hand — including your imagination. Ding, Ding, Ding…Ladies and Gentlemen We Have a Winner! You all answered the challenge of December 9 when I asked you to send me your cookie recipes. The deal: If I choose your recipe to feature on this blog, you win a prize from Kelley Hospitality (that’s me!). I never said the recipe had to be an original, just a favorite and a good one. Melanie submitted Cranberry Coins by Martha Stewart. They passed my test-kitchen rigors. 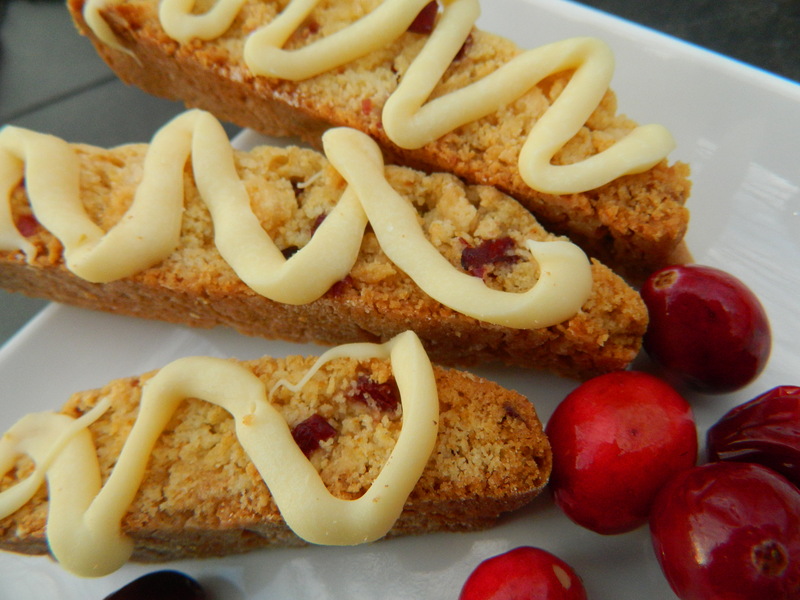 I made the ones in the photo with dried Montmorency cherries. Why? Because I had the cherries and didn’t have cranberries so I thought, why not? Make a batch with cranberries or cherries. Everyone will be glad you did. Congratulations Melanie. Your prize is in the mail – four issues of Celebrate Home Magazine in print. Thanks for tuning in. Dani is one of those gals who can do anything. But if you ask her what she likes to do most, it’s work out, run, stretch, do crunches and planks, mulch her yard, plant shrubs, and basically do anything that keeps her lean physique on the move. But she obviously has a clever domestic side because for a Christmas cookie exchange she made mini lemon tea breads. What a great idea to add some sweet variety to the cookie offerings…and all decorated up for the occasion! Dani shares her recipe here. Hey…I think I just saw her jog by my house! Preheat oven to 350 degrees. Grease and flour a 9″ x 5″ loaf pan (or use the Wilton mini six-loaf pan); set aside. In a large bowl, cream butter, sugar, and lemon extract until fluffy. Add eggs, one at a time, beating until the mixture “throws ribbons” (translation: is light and feathery). In a separate bowl, mix together flour, baking powder, and salt. Pour 1/3 of the flour mixture into the egg mixture, stir, then add 1/3 of the milk. Stir until blended. Continue to add the flour/milk mixture alternately until blended. Do not over mix. Fold in lemon peel and pecans. Pour batter into prepared pan. Bake 1 hour for large loaf pan (about 25-30 min for the mini loaf pan) or until toothpick inserted in center comes out clean. While the loaf is baking, prepare lemony glaze: mix together the fresh lemon juice and 1/2 cup sugar, let stand until loaf is baked. Remove bread from oven and immediately pour the well blended lemony glaze over the top. Let stand 15 to 20 minutes. Turn onto rack and let cool. Dani’s lemon tea bread all dressed up for a Christmas cookie exchange. To serve, slice into thin pieces; serve with butter. 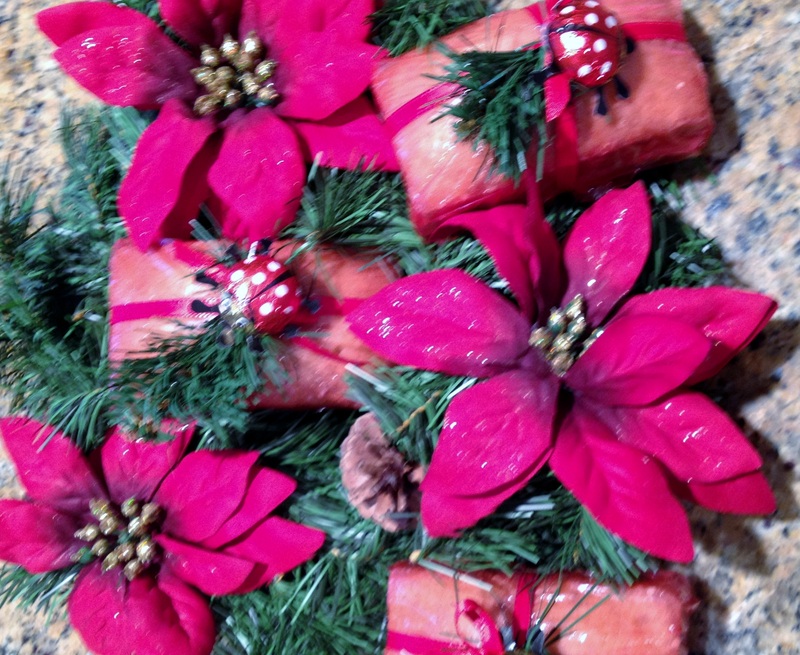 This festive little garnish is so easy and adds holiday bling to any dish, platter or cake. 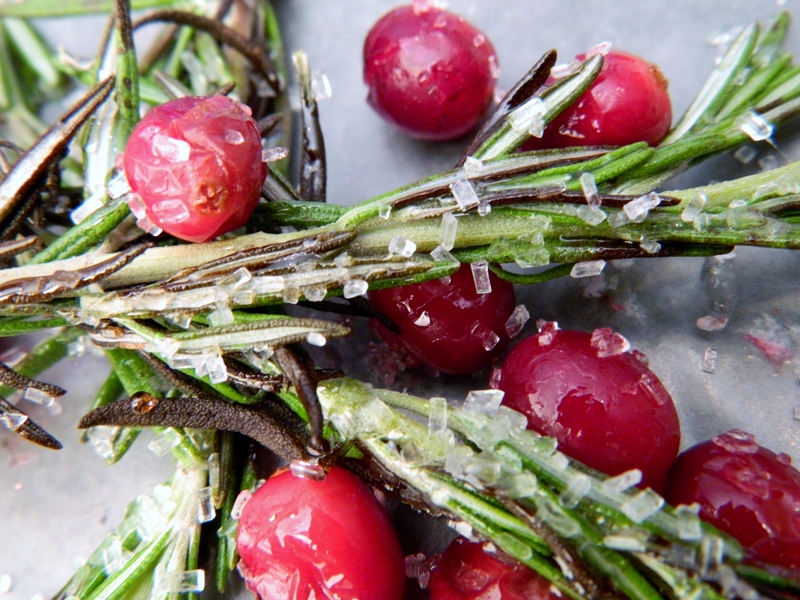 Brush rosemary sprigs and berries with corn syrup. Sprinkle with sugar. That’s it folks! Have fun. 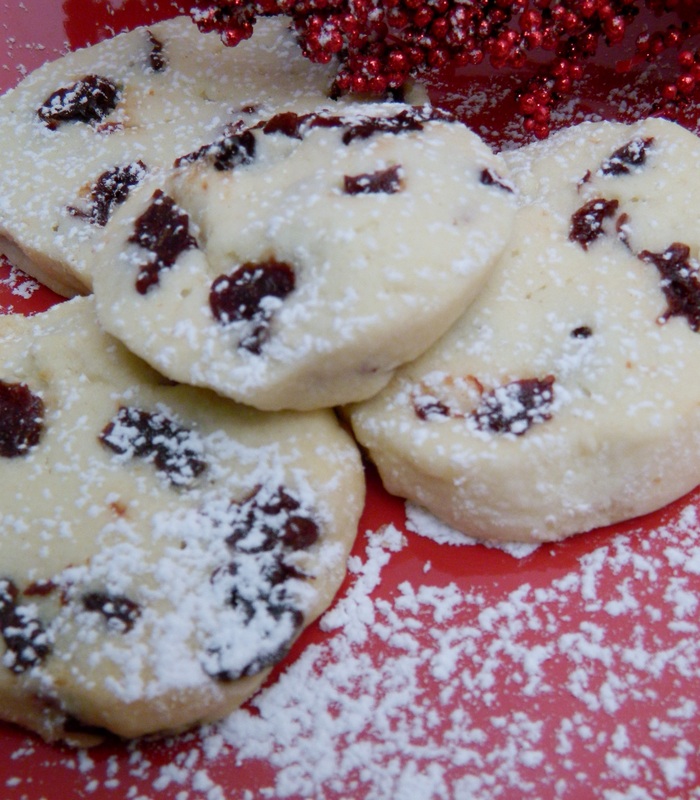 I would love to add some Christmas cookie recipes to my repertoire. If I choose your recipe to feature on this blog, you will receive a gift which will include four issues of Celebrate Home Magazine. Send me your holiday best by December 15, 2013. Recipes can be cookies, candy or another sweet treat. Send recipes to my email here. May the best cookie win! Pictured above is one of my favorites — easy and a festive addition to your cookie platters. Et tu biscotti!